2 OWNER! Clean Fax! Non Smoker's Car! Power Moon-Roof! Leather Seats! Air conditioned Seats! New Lexus store trade in! Beautiful Car! This car is so nice, the owner's wife is driving it, so if you want to see it, Please CALL FIRST! This is true quality at it's best. And, the Lexus driver is always an adult and not a young kid who could be hard on a car. This car looks like it was always garaged, always well maintained, always kept clean. This car new was around $40K, it's just like new still, just a LOT les money. This ES350 has all the toys that a Lexus has, power sun-roof, dual power seats, heated seats, Air conditioned seats, power windows, power locks, power mirrors, power tilt wheel, cruise control, CD, automatic climate control, power key-less entry, alloys wheels, great interior wood features, this car truly has it all. We have checked this car out too, also had it Missouri safety inspected and road tested, it is a great car. This is a LOT of car for the money. And lastly, we do not try to sneak in any hidden fees, like paperwork fees, admin fees, or doc fees. Call if you need any other information or need to schedule an appointment. CALL 816-916-6272 OR 816-665-7371 or visit us at www.mcautokc.com . 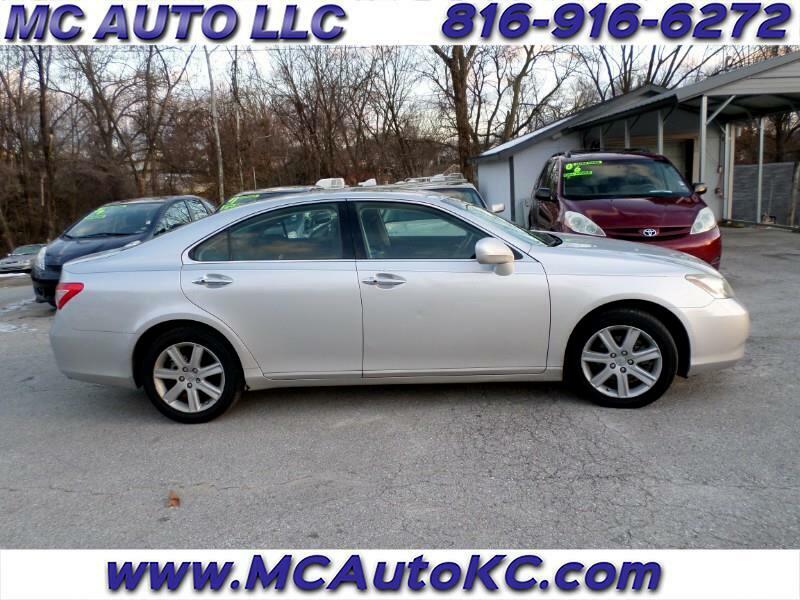 Visit MC AUTO LLC online at www.mcautokc.com to see more pictures of this vehicle or call us at 816-916-6272 today to schedule your test drive.